Ghost sightings, Witches, and even old Druidic ceremonies all on one road? That’s how the legends start about Clinton Road in Passaic County, NJ. After the sharp “dead man’s curve” you’ll come to the Ghost Boy Bridge where rumor has it says if you toss a coin into the water a boy will toss it back. A little further up the road is the ruins of Cross Castle, once thought to be a hotbed for Satanic activities and even the KKK themselves. Are you shivering yet? (I am and I just typed that). If you fancy yourself brave, then good luck to ya! The story goes that once upon a time a rich man donated a collection of statuary with the stipulation they create one statue to pay tribute to his deceased daughter, Mona. The details around the legend of Mona’s death are murky, but supposedly Mona and the sailor she loved used to walk hand-in-hand through what is now New Orleans City Park, but their love did not last… in one take on the tale, her father forbade the love and killed Mona herself. Another says the sailor killed her to silence her after ending their affair. Sadly, people eventually destroyed her memorial statue in City Park. Today, she’s said to haunt young lovers who drive down Mona Lisa Drive. Couples hoping to make like 50s teens on Mona Lisa Drive supposedly hear a woman moaning in heartache and even scratching at their windows. Clinton Road is the scariest road in NJ but Shades of Death has to be a close second. Located in central Warrne County, NJ, the two-lane road is 7 miles of horror running right along Jenny Jump State Forest near I-80. If you can imagine something terrible, it’s probably been said to have happened here. One of the biggest legends says a band of anti-establishment types took to the woods around Shades of Death Road and often murdered each other and anyone encroaching on their woods. Low-hanging branches are said to have been used in multiple lynching events. Others say the road used to just be “The Shades,” but as more and more murders happened here, “of Death” got added. The last, and most plausible, explanation for the name is that the area was the site of a nasty malaria outbreak and the road’s name is in reference to those who died from the plague. The areas around the road such as Ghost Lake offer their own spooky stories too like the cabin near Ghost Lake where all sorts of supernatural activities have been reported. I’m just saying… you might want to stay in your car. According to one version of this legend, a group of boy scouts hiked here in the 50s for a campout. They slept peacefully in their tents amid the tall trees lining the road before their troop leader murdered them in the night. People say the boys still haunt the road and appear at random, sometimes covered in blood. The land around the road is now privately owned and off-limits to the public, making it extra suspicious…so again stay in your car. It is said that when animals scamper across the section of Kelly Road known as “Mystery Mile,” they turn instantly deranged and rabid. A resident once famously reported a ragged, pale boy traipsing around her backyard in the middle of the night, showered in an eerie white light. Make of that what you will. Strangely enough, there’s nothing demonic about this starch of road. It’s more “eerie” than anything. The story goes very evening, something very strange happens along this otherwise quaint strip of road between Missouri and Kansas. The “Spooklight,” as it’s called, is an orb of light that peeks through the trees long after the sun has completely set. It’s usually green but has been known to shift in color and size, and nobody knows where it comes from. There are reports of Spooklight sightings in the early 19th century, and legend says the orb is the spirit of two native American lovers who are looking for each other. So there you have it. We have seven roads of horror with such sights to show you. 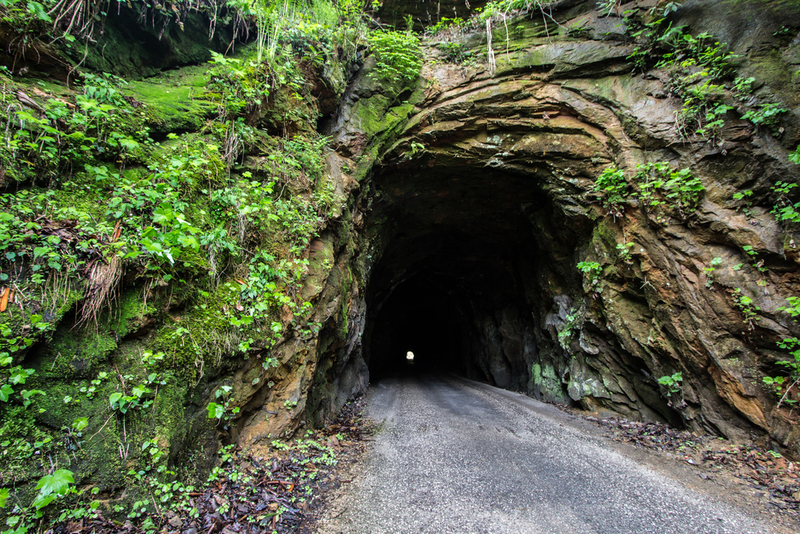 If you are brave enough to drive through these, you might even have a story of your own to share. Have you ever encountered something strange or supernatural in tour travels? Then tell us the tale in the comments section… if you dare.